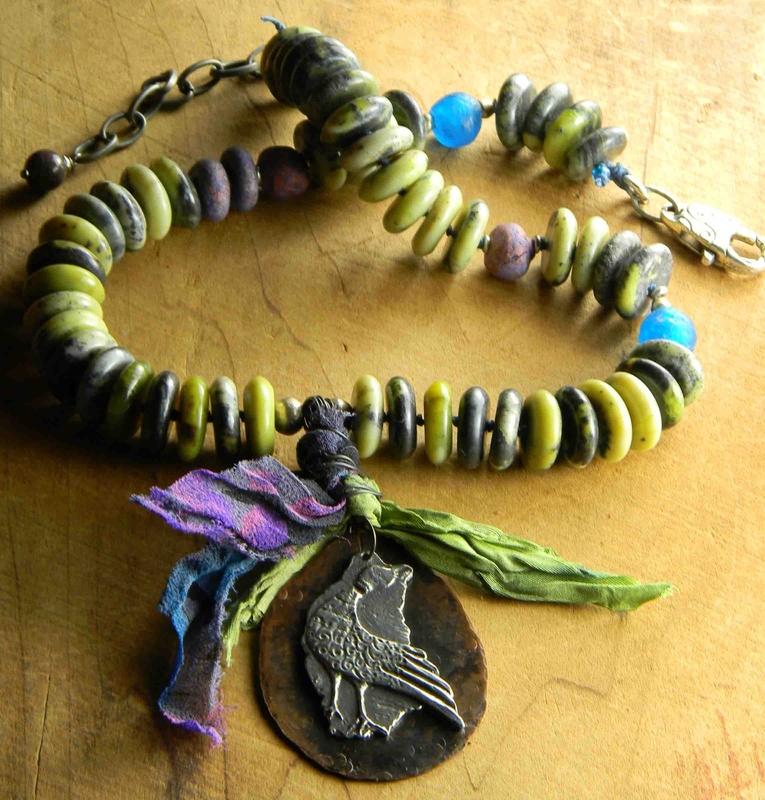 Artisan bird pendant in luscious polished pewter, embellished by brightly colored sari silk and blue with fuschia chiffon ribbon, around a wired bail with hammered copper background. 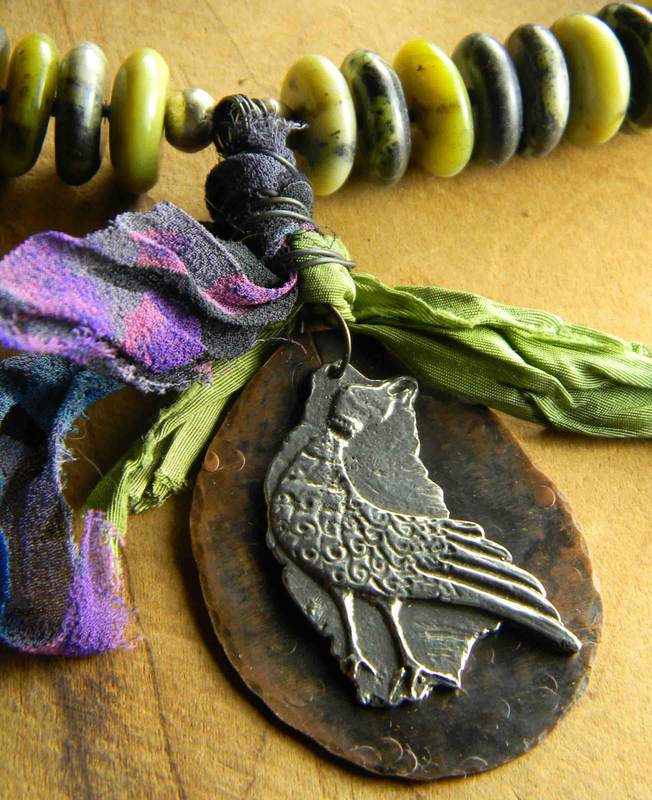 The placement of the copper piece behind the beautifully crafted pheasant in pewter really gives a pleasing contrast. 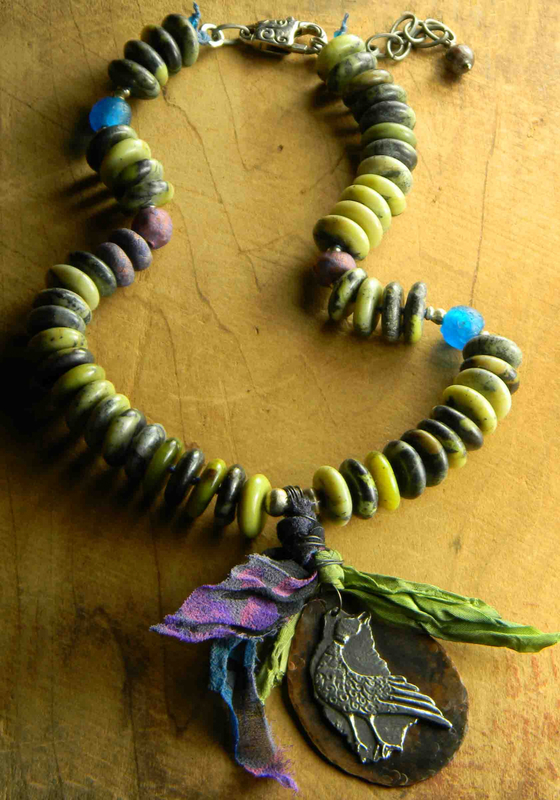 Rondelles of yellow turquoise make up the body of the necklace, with accents of brilliant blue African handmade recycled glass beads, and handmade clay beads in an "electric" purple that brings out the fuschia in the ribbon embellishment. 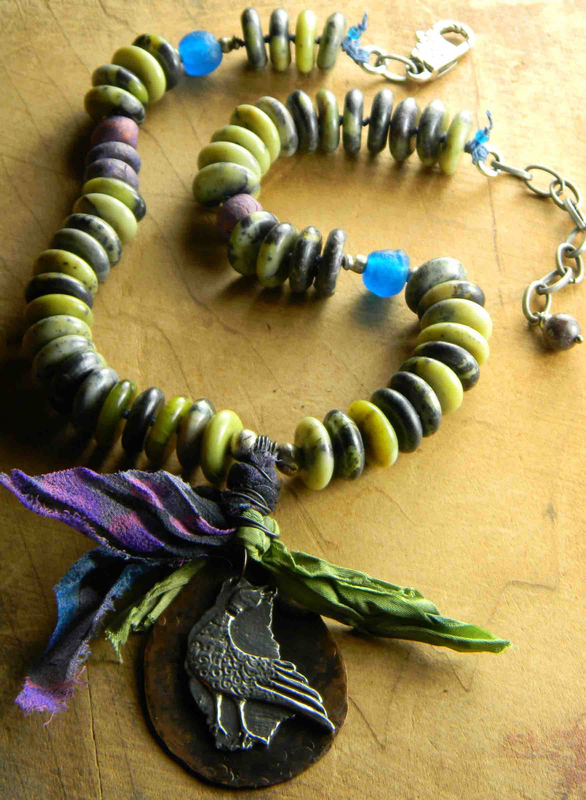 African silver metal spacers add accents as well, as does the pewter lobster clasp. The length of the necklace is 16 inches, with a 2 inch extender chain. The pendant drop is 3 inches.